Paula Vogel’s speaking at 8 p.m. on Monday, April 14 at Wesleyan University’s Memorial Chapel. She’s had an interesting decade or so. In 2008 she stopped teaching regularly at Brown University, where she’d headed the playwriting program for a couple of decades, and joined the faculty of the Yale School of Drama. She moved on from full-time teaching at Yale only four years later (though she retains the title of Lecturer in Playwriting), but while she was in town her epic drama A Civil War Christmas was world-premiered at the Long Wharf Theatre. I ran into Vogel last year at the Humana Festival in Louisville, Kentucky, and did this interview with her for Engine 31, a pop-up site overseen by the USC Annenberg Journalism Institute. She was roundly praised by some of her former students (notably Sarah Ruhl) at a panel discussion on “The Playwright as Teacher and Student.” In recent years, she told me, she’d been invigorated by working directly with theater companies (including ones made up of war veterans), outside of the academic milieu. Vogel’s Wesleyan talk is free. A reception and book signing follows it. Details here. 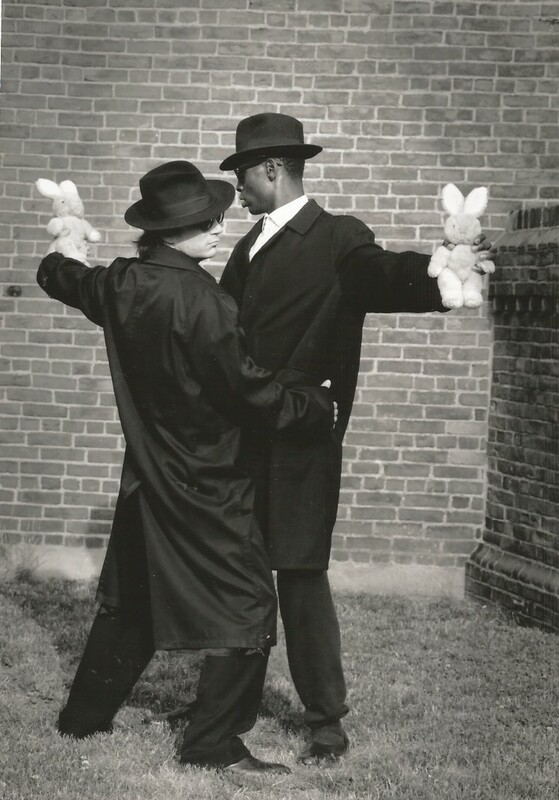 The photo above is from an excellent production of Vogel’s The Baltimore Waltz directed by Jean Randich for the Yale Summer Cabaret in, I think, the summer of 1992, nearly a year before the Yale Rep also did the play. That’s Lance Reddick (later of The Wire, Fringe, Oz and Lost) and a really wonderful actor whom I’ve sadly lost track of, Gregory McClure, cavorting with rabbits. The publicity shot was taken by Bill Burkhart.